On the Subscribers page, you can view a list of your current subscribers. From this page you can click on any of your subscribers to view more detailed information about them. Here you can add and remove any subscription. Note: If you add a plan as an admin, setup fees are not charged. Also keep in mind the plan will instantly bill the customer the first installment if the plan is set to bill on date of sign up. 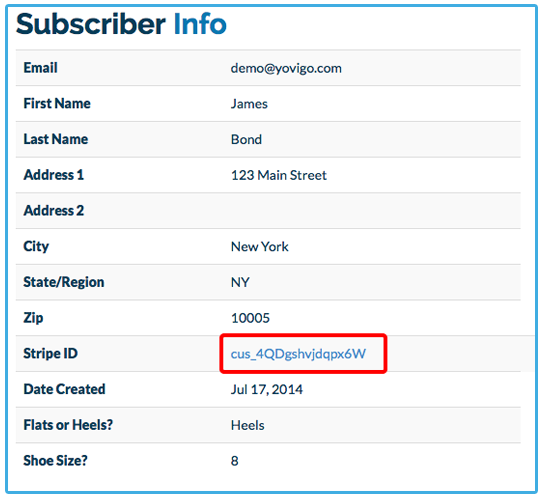 If you need to change anything about your customer's account, you can do so by clicking on their Stripe ID in the Subscriber info column. 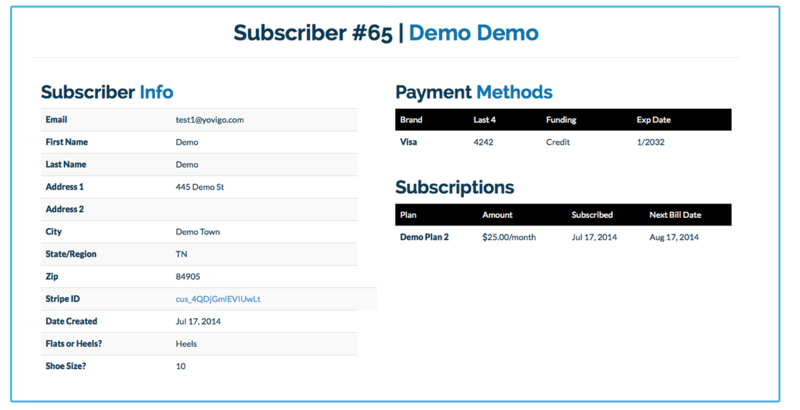 From the Stripe page, you can edit, add, or delete your customer's credit card information, change their subscription plan, edit addresses and other contact info, or cancel accounts. Stripe has detailed records on all transaction data and can help explain many billing issues.